Situated in Goldfield and Bishop Wood school catchment, this four bedroom family home is offered to the market with accommodation comprising kitchen/diner, lounge, WC, four bedrooms, bathroom, garage, driveway parking and rear garden. Door to lounge, radiator, original parquet flooring. Low level w.c. wall mounted wash hand basin. Double glazed bow window to front aspect, double glazed patio door to rear. Feature fireplace with inset remote control gas fire, television point, door to inner hall. Stairs to first floor, understairs storage cupboard, radiator, doors to cloakroom, garage and kitchen. Double glazed door and window to rear. Range of wall mounted and floor standing units with roll top work surface over, built in oven with gas hob and extractor over, wall mounted gas central heating boiler, stainless steel sink with mixer tap and drainer, water softener, space for washing machine and dish washer, radiator. Double glazed window to front aspect. Built in wardrobe, radiator, television point. Double glazed window to front aspect. Radiator, television point. Double glazed window to rear aspect. Television point. Double glazed window to rear aspect. 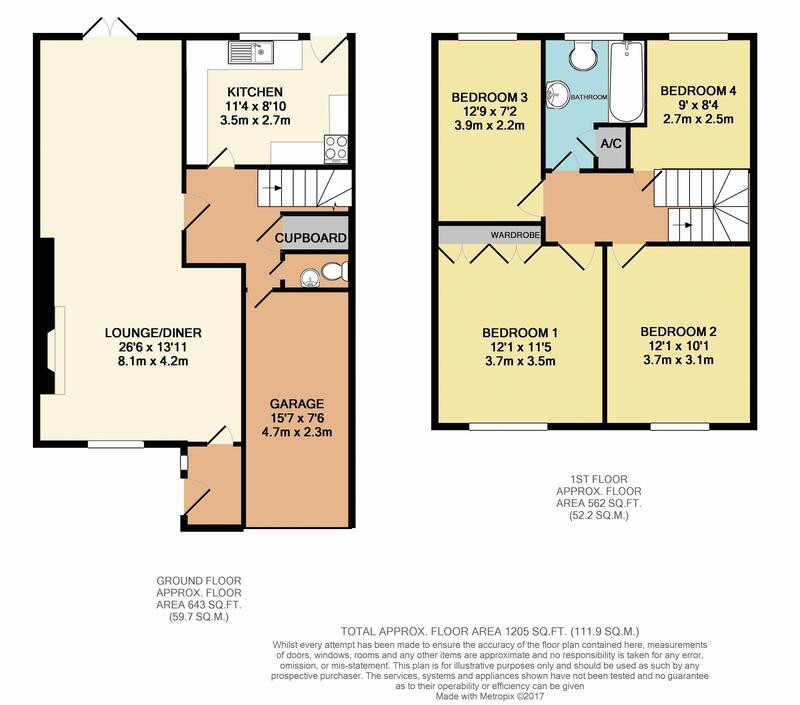 Three piece suite comprising low level w.c. pedestal wash hand basin with mixer tap, panelled bath with electric shower, airing cupboard housing hot water cylinder, wall mounted heated towel rail. Mainly laid to lawn with flower and shrub beds, patio area, outside tap, gated rear access.